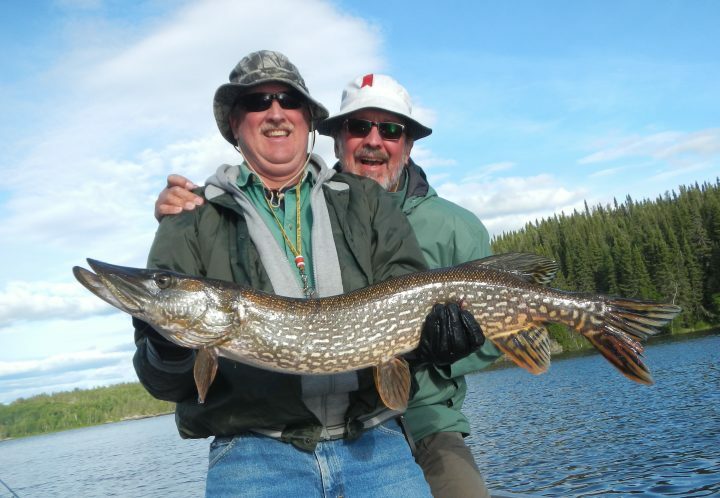 The Pike is the most plentiful, resilient, adaptable and aggressive game fish in the world. They are a blast to fish for and put up a heck of a fight. 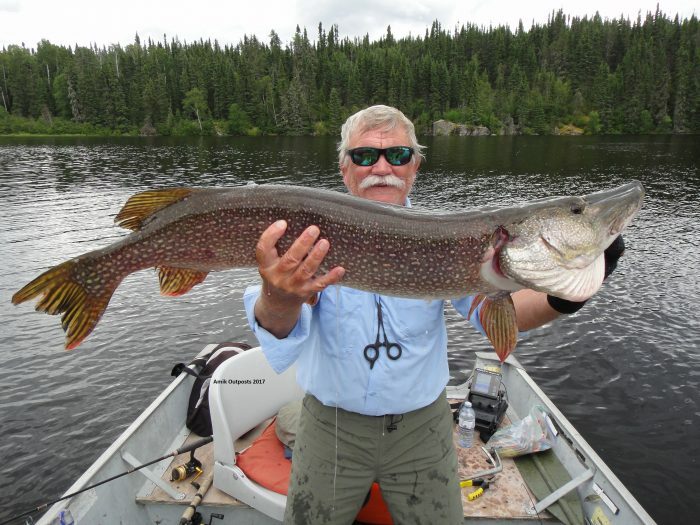 Pike are the most sought after trophy fish in Canada and our lakes are full of them. In the far North these fish grow at a very slow rate due to the short growing season and the cold water. Our “No Trophy” policy has ensured that the gene pool will never be harmed and the trophy fish remain in the lake. Growing bigger and have the chance to be caught again! We understand that this is a resource that needs to be looked after and we plan on doing just that. Generations from now the fishing on our lakes should be just as good as it is today! Catching pike is usually pretty easy. 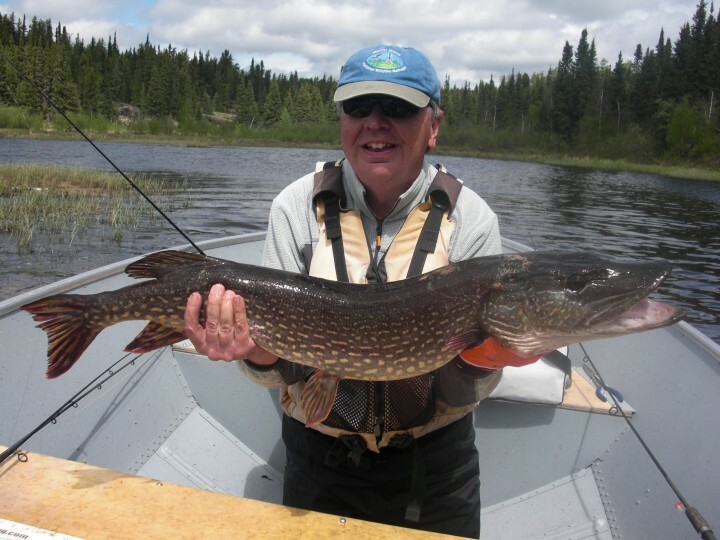 Casting, trolling or jigging, pike can be caught many ways and they occupy many depths of water depending on the time of year. Post-spawn is when the large females are the most active and can be caught in shallow water. 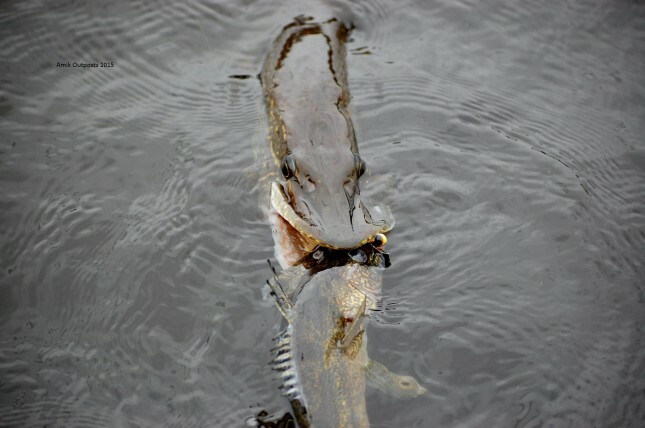 Throughout the summer pike can be found near their favorite food source…..walleye. The majority of trophies are caught on nothing but a jig without a leader! 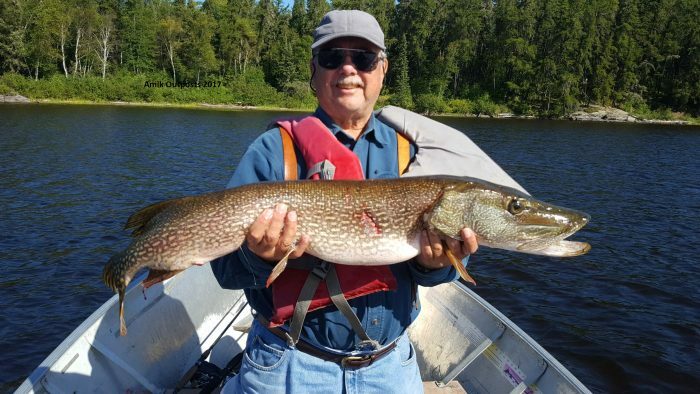 It is quite common for our fishermen to be fishing for walleyes, catching fish after fish when all the activity in the water draws the attention of a predator…. T-bone attacks are fairly common and sometimes both fish can be landed! 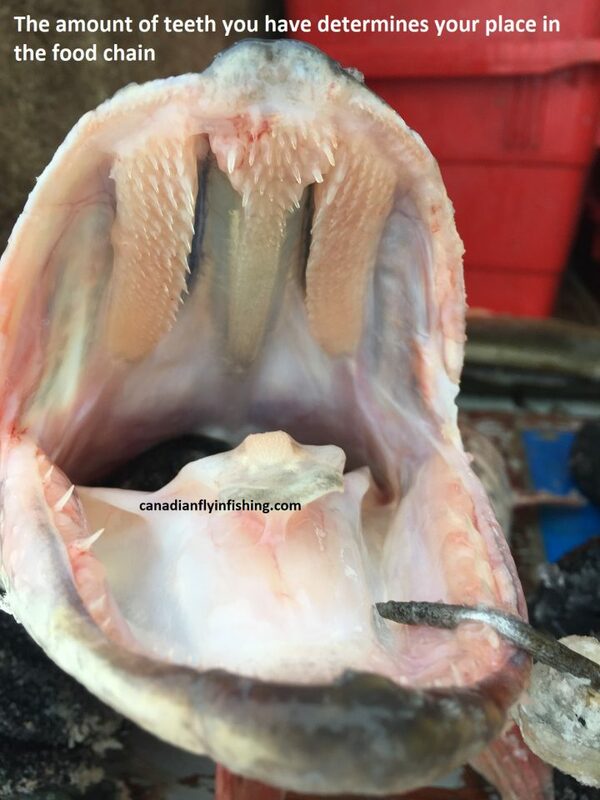 Your hook in the Walleyes mouth and the walleye in the Pikes mouth! It helps to have a good net man in the boat with you to achieve this feat. Our 2018 season is coming together nicely. Please let us know if you would like to start planning a trip. Please click here to inquire about dates for 2018. Deposit checks are to be made payable to : Lac Seul Airways Ltd.
Our email address has changed and we will be sending out a newsletter soon with a few minor changes to our contact information. 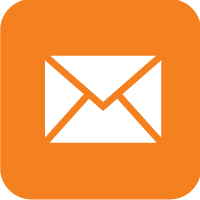 Please sign up for our newsletter by clicking here.